While no property manager goes to bed dreaming about TPO roof repairs, they are an unavoidable reality at most properties. Even though TPO roofing systems are extremely durable, they are still susceptible to small punctures and punctures. This is especially true at properties with rooftop HVAC units, where service contractors can damage the roofing membrane. Eventually, any property will with a TPO roofing system will be faced with a repair. Unless there are obvious leaks, it is almost impossible to detect TPO roof damage. First and foremost, it is often incredibly dangerous for property managers to climb onto their roof. Second, property managers are not properly trained to inspect A TPO roof for damage. This is why annual roof inspections are so important. They can tell a property manager the exact condition of their roof and advise on any necessary repairs. The first of our TPO roof repair tips is all about surface preparation. This extremely important step is taken before the actual repairs begin. Before starting the repair, the surface should be cleaned using specialized TPO cleaning products. This removes residual dirt, grime, contaminants, and debris that can impact the existing TPO roof accepting the repair. As a result, property managers must make sure that surface preparation is included in the scope of work. Eventually, every property manager will be confronted with having to pay for a TPO roof repair. This is why one of our TPO roof repair tips is setting aside a budget to pay for them. Having a budget for repairs makes the entire process less stressful. Plus, a dedicated budget means necessary repairs will be addressed. 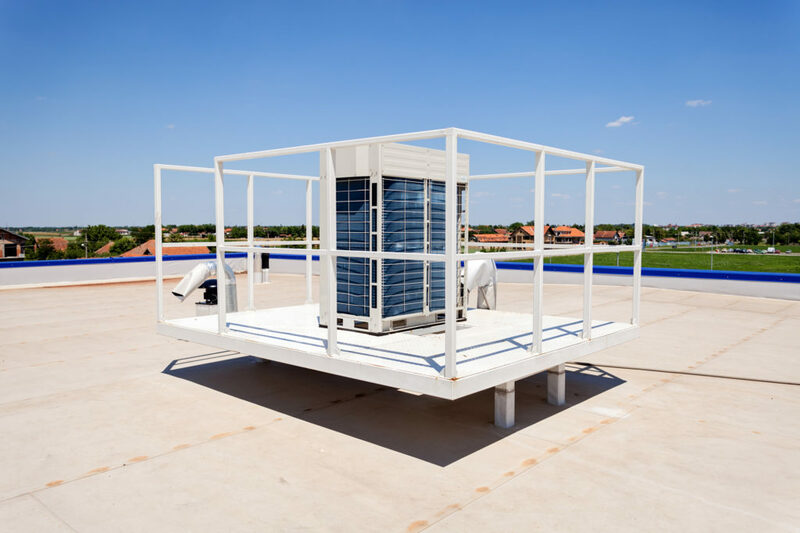 As a result, it can prevent having to spend the money for a TPO roof replacement. While this might seem obvious, it is important to hire a licensed, bonded, and insured commercial roofer. Since most commercial roofers meet those basic criteria, it is important to dig in further to make sure you choose the right one. First and foremost, ask them about their experience repairing TPO roofs. Drill down and ask for specific properties in the local area where worked previously. If they have worked for another property manager in your company or an industry colleague, inquire about the quality of their work. In addition to their experience, ask them if they have any manufacturer certifications or factory trained crews. This is especially important for property managers that know the brand of their TPO roof. A Firestone trained commercial roofer will be more comfortable repairing a Firestone TPO system, for example. Lastly, as a final check, see if they belong to any property management associations. This is a clear indicator they frequently work with commercial properties and an easy way to find potential references. Did we miss any of you best TPO roof repair tips? Send us an email with the best tips we missed and our team will add them to this post! Need help finding a commercial roofer for a third bid? Let our BidSource team locate a qualified commercial roofer in your area to provide a free quote for a TPO roof repair at your property!